This is the perfect math manipulative for helping young students learn bill denominations, plus how to count money and make change. The magnetic bills adhere to classroom white boards or any other magnetic surface. 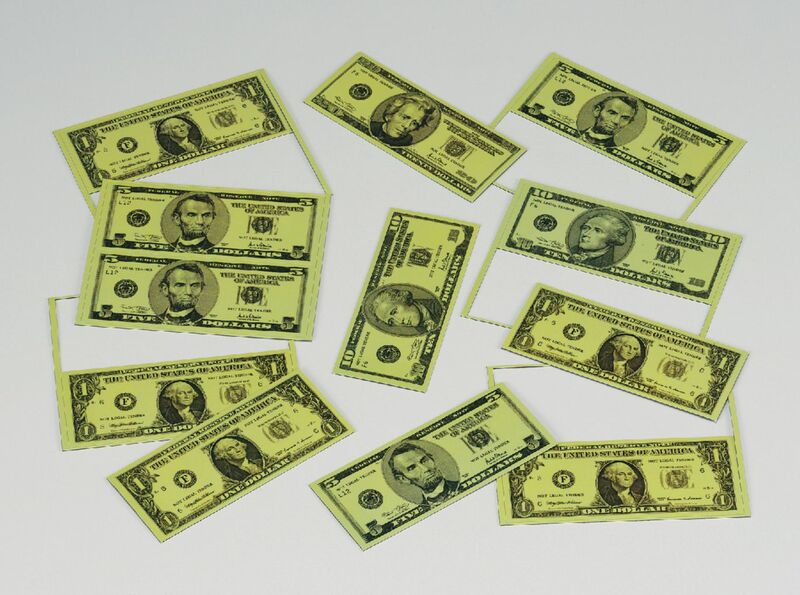 The set contains $1 bills (5); $5 bills (4); $10 bills (2); and $20 bill (1). Each bill measures 4 3/4" by 2". An excellent companion to this set is Magnet Math Magnetic Coins, 17178-01. WARNING: CHOKING HAZARD–Small Parts. Not for children under 5 yrs.